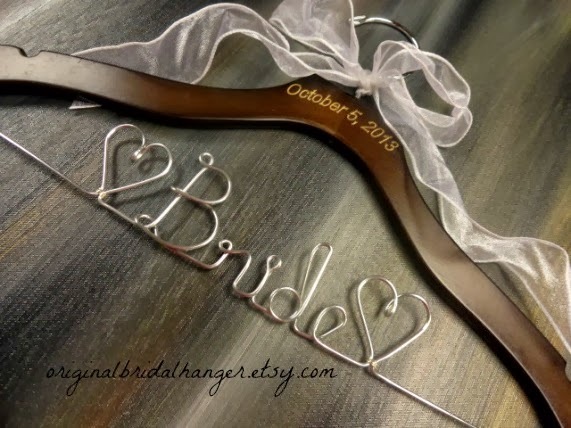 AMY'S ORIGINAL BRIDAL HANGERS: Quick Hanger Giveaway! 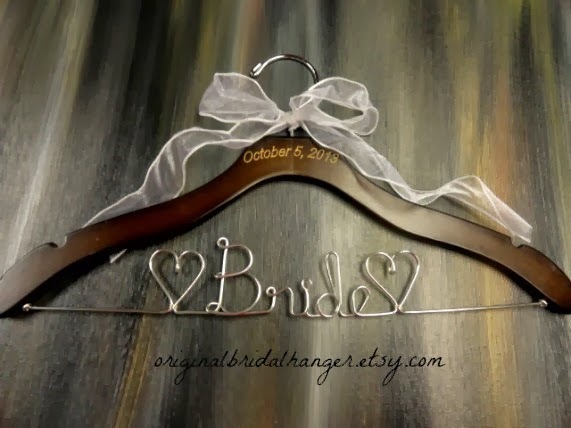 I had this wooden hanger sitting in my studio. 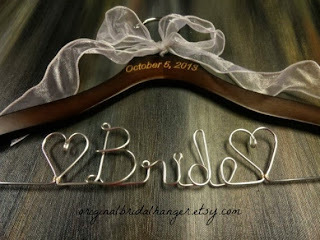 A thought came to me that I should create a generic wire wording and offer it as a wedding hanger giveaway. So, here it is! 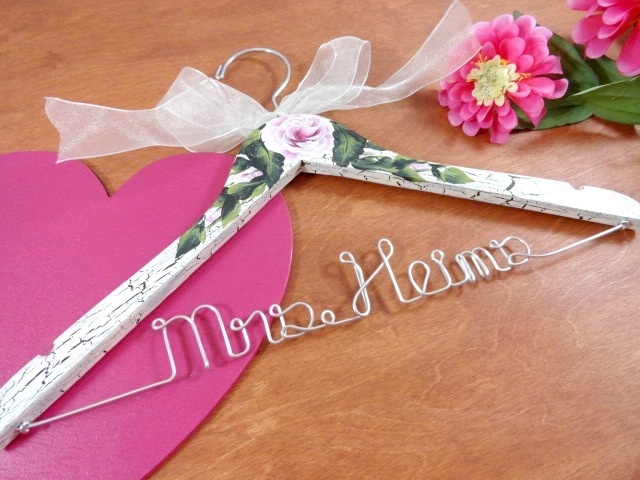 This beautiful hanger is one of my new wave wood hangers. 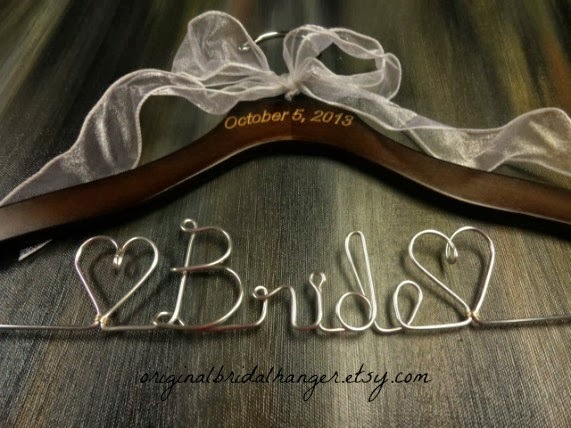 It is a very sturdy hanger. 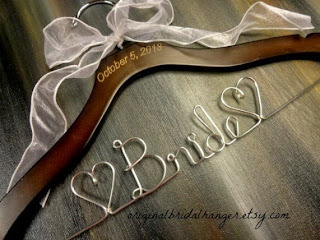 Engraved in the top of the hanger is the wedding date of October 5, 2013. Thus the need for a quick giveaway! 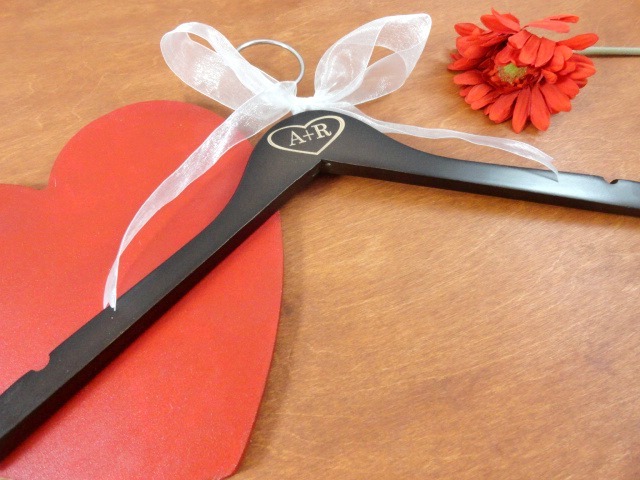 I plan to ship this hanger out on Monday. I ship via USPS Priority Mail, which typically takes 2-3 days. This giveaway is for shipping within the U.S. Sorry! Follow my Facebook page: https://www.facebook.com/originalbridalhangers . Leave a comment on my blog with the email address I can reach you at if you are the winner. This giveaway will run from today, 9/26/2013 thru 9/30/2013 at 11:59 p.m. I followed your blog and facebook page. Thanks for the giveaway! 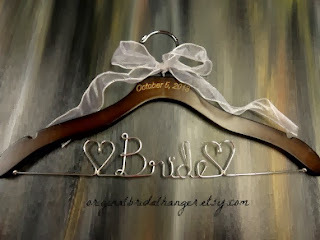 I follow this blog and your Facebook page! Hi Amy! 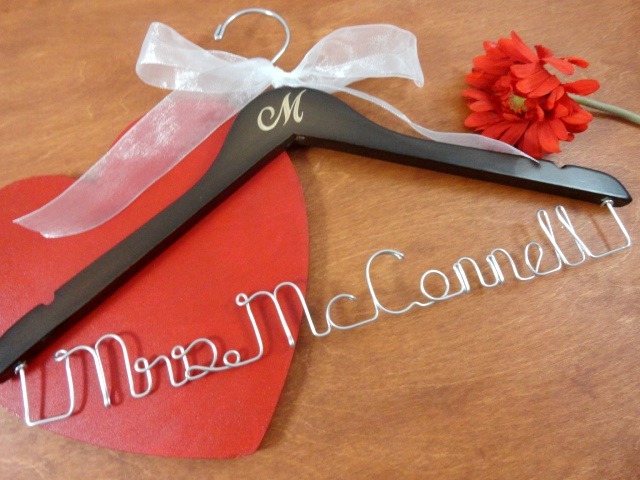 Love the hangers. Thanks for doing a giveaway!